PLEASE NOTE: WE ARE NOT THE COUNTY COURT AND WE HAVE NO ACCESS TO THE DETAILS OF YOUR CCJ. Check out The Parliamentary Review’s article on Lender & Court Services! What is a CCJ and why is it important to remove? To have a CCJ on your credit record means that it will be virtually impossible for you to get credit, as it will show on your credit file as a Court Judgement for an Unpaid Debt. Most common examples of this are Parking Ticket companies, where a ticket is issued for a car that perhaps you have sold. 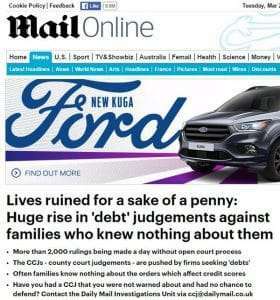 Other examples include, Utility Companies, Mobile Phone Companies, and Debt Collection Agencies, some debts for which CCJ’s (County Court Judgements) have been issued range from £100 to £0.01p….Yes a CCJ for a debt of 1 pence – and this is happening all the time. This practice has been widely reported in the press with those finding that they have a “Mystery CCJ” and people have subsequently been declined for Mortgages and Tenancy Agreements or new car finance, some of whom were in the middle of moving house and the CCJ blocked them from moving to their new home. We will assess your case and examine how the CCJ came to be on your file and why you were not informed about it. This is not uncommon as there are many companies that systematically make claims for small amounts of money that can lead to a CCJ. 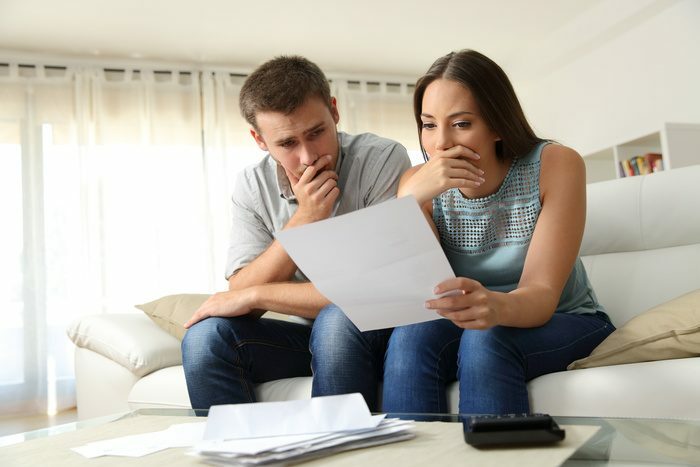 If the papers for this debt are served on your previous address then you are likely to end up with a County Court Judgement “in default” this is because you have not replied to the court claim. If this is the case we can help you to make an application to set aside the County Court Judgement until the debt is either paid or formally disputed. We can assign one of our experienced case workers to your file and they will help you to draft the required application in a legally correct format. They also help you to collate the required evidence to demonstrate that the CCJ should be set-aside on the correct legal grounds. The court application looks like a simple form and it is, if you know what you are doing. However, it is highly advisable to get some legal assistance, advice and guidance as if you make an application that is incorrect it is likely to be dismissed and then it will be far more difficult and perhaps costly to go back to the court again. In some cases, where required and if we have time we will speak to the claimant or their solicitors to establish the basis of the claim and the timescales as to when the claim was made, what it was for and why they sent the papers to the wrong address. Subject to the service level that you opt for we will try and negotiate that the claimant will agree for the Court Judgement to be set aside whilst we are helping you to resolve the issue of the actual claim. Once you have sent your information back to us, we will assess your case and advise you the likely prospect of your CCJ being removed, this is free of charge. If you would like more information about our services we will send you details of our charges and our terms and conditions before you make any payment or proceed with the service. We are Licensed and Qualified team of experienced paralegals and such we can also arrange court representation via our network of Court Advocates. We are also Licensed by the Bar Standards Board and able to arrange a Fully Qualified Barrister should your case be complex and require that extra level of care and attention to detail. Overall well impressed they all ways phoned me help me in every way and even when I won the court case they still phoned me to c if everything was ok . So would recommend lender and court to everyone . Big thanks guys help me get my life back on track . Do you have time to answer 6 quick questions here about your CCJ? Can you tell us a bit about the CCJ? This is a Judgement that a County Court Judge makes when someone has failed to pay money they owe to another party. The process starts by the claimant making a claim to the court and the court will then send you, the defendant, the claim and ask for you to either, admit that you owe the money and pay the claim in full, admit to part or some of the claim or defend the claim if you think that you do not owe the money at all. Whatever you decide to do – you must respond in 14 days. How do I deal with a Court Claim made against me? If you agree that you owe the money even once a Judgement is made if you pay the debt within 30 days then there is no record of the action that has been taken recorded on your credit file and you will not have get a CCJ. If you don’t reply to the court papers in the 14 days allowed, or don’t receive them, and such cannot reply, then a Judgement will be issued against you. If you have a CCJ registered against you and don’t pay an order can be made to take money out of your wages, A charge can be put on your property, your bank accounts can be frozen and bailiffs can be sent to your home to collect the money or goods to the value of the claim and the extra costs, charges and default interest. A CCJ is also put on your credit file for six years warning banks and financial institutions that you have a history of debt. If you have an unpaid CCJ it will be virtually impossible for you to get a Mortgage, Credit Card, Car Finance or a Loan, especially from a high street provider and you would be forced to use a more “subprime” lender and even if this is available it will cost you much, much more for any credit that you obtain. How do I find Out if I have a CCJ? When someone makes a County Court Claim against you, you will be sent a Claim Form which explains how much the person is claiming and why they are taking the action, this is called “Particulars of Claim”. You must respond the court papers in 14 days as if you do not then the court will issue a “Default Judgement” as essentially the court will believe the claimant without hearing your side of the issue. There many cases, where you have discovered that you have a CCJ and did not receive the original paperwork and a Default Judgement has been made where you can make an application to the court to set-aside the judgement. This doesn’t mean that the matter is closed, it simply means that the claimant has to start the process again, should they wish to. The way to find out if you have a CCJ is to check your credit file, there are a number of services available online to check this such as Equifax, Experian, or Noddle. This is the first step to checking what is registered against you and we would need to see this in order to help you. How do I remove my CCJ? Once you discover that you have a CCJ you need to act promptly. You can apply to the court to have a CCJ set-aside and the Court Fee is £255. 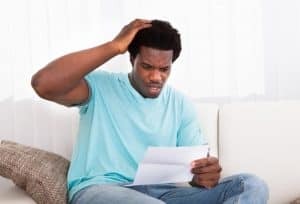 This is the correct process if the CCJ was entered onto your credit file incorrectly, for example that you did never owed the money and you can prove it. Other reasons may be that the papers were sent to an old address and you never had the chance to defend, pay, or deal with the claim. Remember that if a CCJ is set-aside due to failure of service in that you did not receive the papers from court and if you are successful the court will automatically remove the CCJ. However, that might not be the end of the problem as the person who made the claim may wish to re-issue proceedings to recover the debt, so you need to either have a defence to the claim or be prepared to pay the original debt in order for the matter to be concluded once and for all. Can I view your Terms and Conditions? Of course. You can view our Terms and Conditions by following THIS LINK (the page will open in a new tab on your browser). Who are Lender & Court and How Can They Help Me? Our Head Office is based in Timperley in South Manchester, with Manchester Airport and junction 19 of the M6 10 minutes away. The Lender & Court Team offer a national service and as a team we have over 30 years’ experience in dealing with court procedure. Have you discovered that you have a CCJ you knew nothing about? Did you not receive the court papers? Were they sent to an old or wrong address? If so we can help, Call the team now for a free review of your case on 0345 548 4345 and get your CCJ Removed. Call the team today for a Free Case Assessment. We will explain your rights and how our services work.